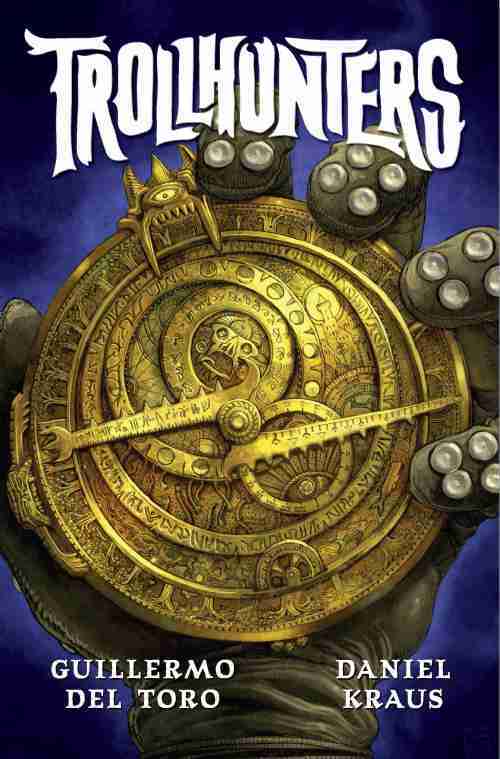 Giveaway: Trollhunters by Guillermo del Toro and Daniel Kraus Prize Pack! Courtesy of Disney/Hyperion, I'm so excited to share a really fun giveaway to celebrate the release of Trollhunters by Guillermo del Toro and Daniel Kraus. The following giveaway is open to US residents only. About the Book: "You are food. Those muscles you flex to walk, lift, and talk? They're patties of meat topped with chewy tendon. That skin you've paid so much attention to in mirrors? It's delicious to the right tongues, a casserole of succulent tissue. And those bones that give you the strength to make your way in the world? 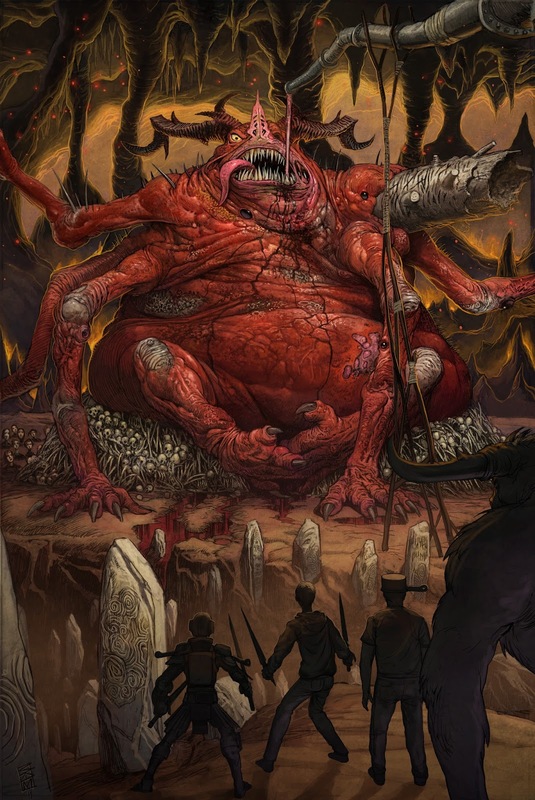 They rattle between teeth as the marrow is sucked down slobbering throats. These facts are unpleasant but useful. There are things out there, you see, that don't cower in holes to be captured by us and cooked over our fires. These things have their own ways of trapping their kills, their own fires, their own appetites." Doesn't it sound great? Plus San Bernardino isn't that far from me! 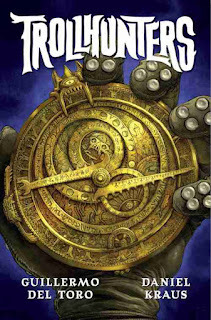 :) You can buy the book from Barnes and Noble here. Learn even more about it at Unrequired Reading. 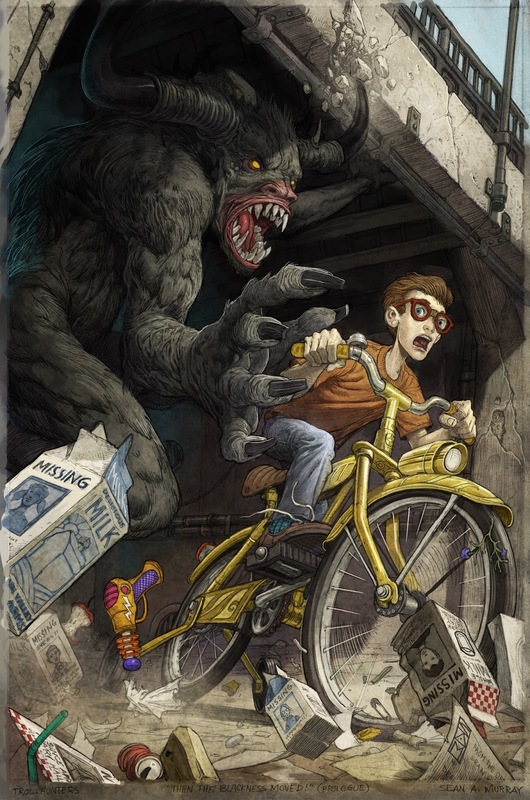 And follow Disny/Hyperion on Twitter and Tumblr and use the hashtag #Trollhunters! 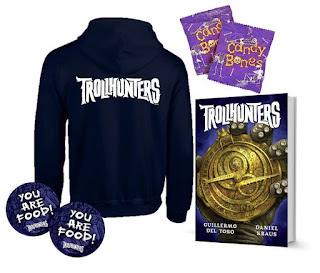 It's a Branded Trollhunters zip up hoodie, pins, a copy of the book, and some candy bones! To enter, just fill out the form below by July 25. Winner will be notified via email.